In Mozilla Thunderbird, the contacts are stored as MAB extension. Sometimes you may need to copy Thunderbird address book to new computer because of some technical issues in your old computer or any other reasons. For most of the users, the .mab conversion is a very challenging task. So, here in this post, we are going to share you the easiest and effective way to transfer Thunderbird contacts to new computer or import Thunderbird address book to Outlook. Just follow the information and move Thunderbird address book to new PC quickly. User Query 1: I have saved all my Thunderbird contacts in my old desktop. Yesterday I bought one laptop because my desktop has become very old and there is a chance to lose my data. Now I want to backup Thunderbird contacts to the new laptop. I do not know how to copy Thunderbird contacts to new computer. Can anyone help me in doing this? User Query 2: In my existing PC I am using Mozilla Thunderbird email client for communication purpose. I just purchased another one Toshiba laptop. I want to access Microsoft Outlook on my new laptop. I have transferred all my emails data into my new laptop. But I do not know how to convert Thunderbird contacts to Outlook in the new laptop. Can you please suggest me any suitable way to move MAB to another pc. Before starting the process you just have to know about the Thunderbird MAB files. Mozilla Thunderbird has three types of MAB files. They are abook.mab, history.mab, imap.mab files. Mainly the Thunderbird stores address book in abook.mab, history.mab. abook.mab: It is called Personal address book. 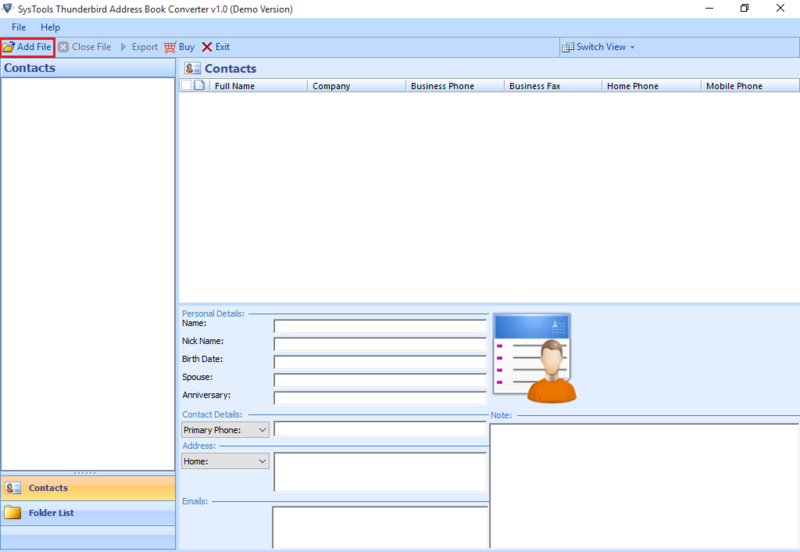 Here Thunderbird saves the individual personal contacts. history.mab: It is also known as the Collected address book. It stores all the contacts through which the Thunderbird sends or receives mails. imap.mab: It is imported address book. It helps to keep the embedded contacts or imported contacts. 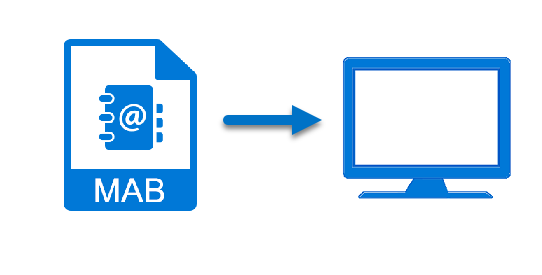 To export MAB to another computer manually, you can follow the steps. Run Mozilla Thunderbird. Open Address Book icon. 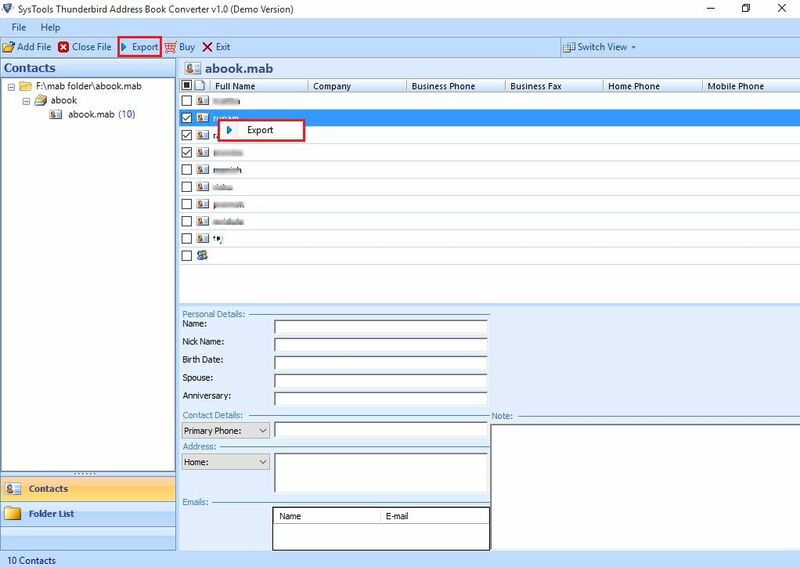 Select specific file or folder in the address book that you need to export & click Export. 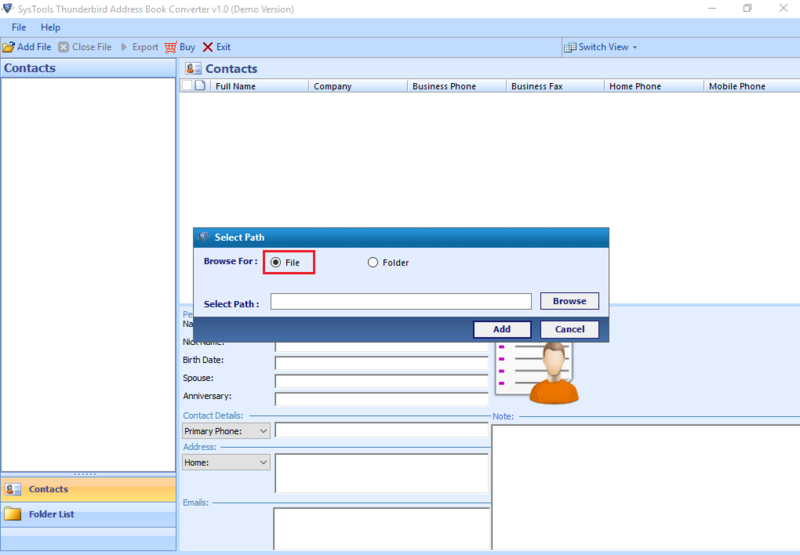 Select storage location and save the contacts as CSV format & hit Save button. After doing this you can copy the CSV file in any device and import it to new computer. After converting this CSV file, open Microsoft Outlook. Click on Open and Export option and select Import/Export. From the given wizard choose Import from another program or file and click Next button. Choose Comma Separated Value & click Next. Select the radio button Do not import duplicate values. Click on Next. Choose the storage location and convert Thunderbird contact to Outlook .pst. After this process copies the PST file and export it to new computer Outlook. But the manual solution has some limitations to export Thunderbird address book to another computer. 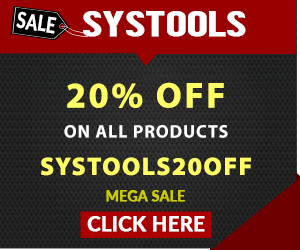 The SysTools MAB Converter can migrate .mab to another PC effortlessly. It helps to convert Thunderbird contacts to PST, CSV, VCF file formats. It provides File/Folder option to transfer single or multiple files to the desired location. It will exports abook.mab, history.mab, imap.mab files from Thunderbird without any file size limitations. Follow the given steps for performing the process. 1. Run the Thunderbird MAB Converter tool. 2. Select Add File option. A window will open for selecting the path. If a single file is there, you can choose File option. For multiple files, select Folder option. Then Browse the path of the files and click Add to perform exporting Thunderbird address book to new computer. 3. All the selected files will appear on the Window. Select the desired files that you want to export into CSV, PST format in order to transfer Thunderbird contacts to new computer. Then click on the Export option. 4. From the appeared window you can choose the needed format such as PST, CSV, VCF etc. And choose the destination path, click Export to copy Thunderbird address book to another computer. After completing this you can transfer Thunderbird contacts to new computer using pen drive etc. 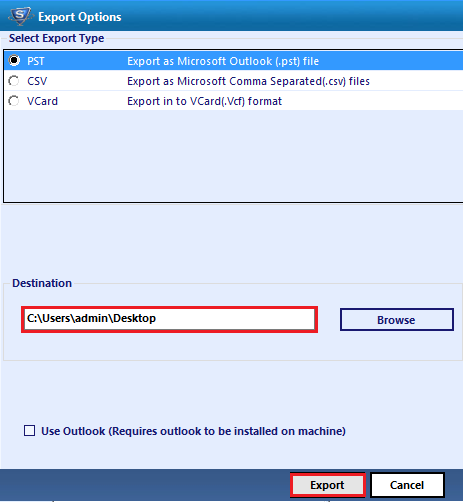 If you want to migrate to Outlook in new pc then copy the .pst format and export it to Outlook of new computer. When a user tries to copy Thunderbird contacts to new computer it will become difficult for them. The above article discussed the exact automated way to export Thunderbird address book to another computer. It will copy Thunderbird address book to new computer quickly.